Much has been written about the drug war and its effects on Black communities; scholars have analyzed the impact on families, neighborhoods, and institutions. Too often, this scholarship and dialogues about the drug war leave out the perspectives of the communities and people directly affected. For example, some have argued that the drug war was done under the watch of a supportive Black community. Others have noted a long tradition of harm reduction and resistance to the war on drugs within Black communities. On this panel, Black scholars, leaders and community members will discuss: Who should lead the conversation about repairing the harms of the drug war? What was the Black community response throughout the drug war? What was the role of elected officials of color? What was the community’s response to harm reduction? What is the role of the Black community today? Keynote: A framework for reparative justice: what is it and what could it look like? If it is universally accepted from President Obama to Governor Cuomo that the war on drugs has failed, has harmed more families than it helped, and we cannot arrest our way out of the “drug problem,” then what is the moral responsibility of policymakers and institutions to communities most devastated by the war on drugs? Does the Movement for Black Lives and the “kinder, gentler drug war” era provide space to reconstruct a moral relationship between communities of color and government? If so, how? What is reparative justice? Can a reparative justice framework be applied to the war on drugs? What would that entail? Is New York ready to atone for the devastation of the war on drugs and its role in leading the country in punitive drug policies that result in racial disparities? Which communities should lead the conversation? Differential responses: A war on drugs for some? The policy responses following the recent heroin and prescription opioid epidemic in largely white, suburban communities has brought to attention the stark contrast in how drug addiction and overdose was addressed in the 60s and 70s, when it primarily affected communities of color. Unlike the war on drugs approach then, which entailed increased policing and criminalization, policies addressing the same crisis today invoke a distinctly public health response, termed by the media as a “kinder, gentler approach.” This panel will explore both the ways in which the war on drugs has harmed communities of color as well as how the current response to the “white” opioid crisis has differed. How have our past and current policies taken a toll on communities of color? How has this current opioid epidemic been portrayed and responded to differently? How has this response affected both white communities and communities of color? What additional research is needed to more fully understand the impact of the war on drugs? Scholars have well documented the ways in which the war on drugs has been targeted at and damaging to communities of color. Less explored, but also important, are the ways in which white drug use has been responded to differently. What historical examples are there of how white drug use has escaped a punitive and stigmatizing framework and what can they teach us about the current opioid crisis? What can we learn from counter examples, such as methamphetamine, which is largely perceived as a “white” drug? How does whiteness operate in the drug policy arena in ways that protect whites while penalizing people of color? How are these alternate systems for white drug use created and maintained? With increased acknowledgment that punitive drug war policies do more harm than good, some have suggested that putting forth a white face of addiction is more strategic to garner sympathy for a public health approach to drug use and misuse and gain resources for communities in need. Others argue that this a fundamentally flawed tactic doomed to failure. We’ll look at other social movements that have adopted that strategy and measure the effects on communities of color and white communities. What movement strategies create equitable access to resources, services, and treatment for communities of color? Repairing the drug war’s harms on people of color requires targeted and intentional policy. 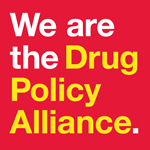 Can we envision policy solutions that will not only repair the harms of the drug war, but address the root causes of problems in addition to disrupting the structural tendency to replace revoked policies with new criminalization policies? Which tools can policymakers use to counter the decades of systemic harm related to the drug war? What are the lessons we can learn from other (e.g. international, historical) reparative justice movements?